Decorative car accessories are either interior or exterior parts of vehicles which are installed in vehicles to give them more appealing look. These accessories are available through both online and offline distribution channels. Enhancing car looks and improving comfort level are two major needs of vehicle owners which are responsible for extreme demand for decorative car accessories across the globe. Global decorative car accessories market is expected to witness significant growth over the forecast period. 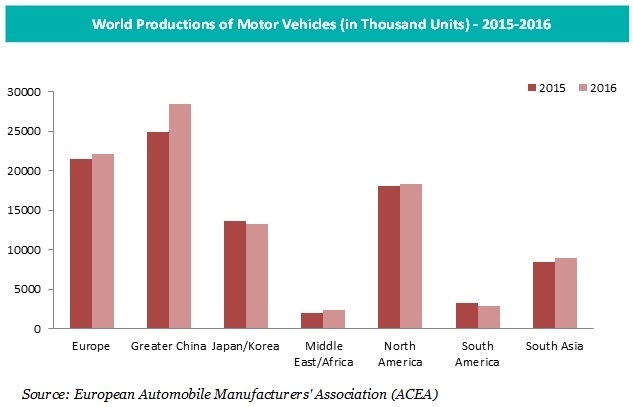 The market is expected to thrive on the back of growing automotive industry across the globe. Increasing sales of vehicles and increased spending of consumers on vehicles ornament are likely to be the key drivers behind the growth of market during the forecast period. 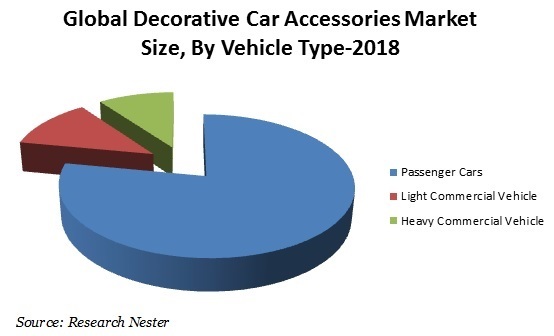 Regionally, the global decorative car accessories market is segmented into North America, Latin America, Europe, Asia Pacific and Middle East & Africa regions. Among these regions, Asia Pacific decorative car accessories market is expected to witness significant growth in global decorative car accessories market by the end of forecast period. Rising vehicle production in Asian countries and increasing sales of passenger cars are key factors which are envisioned to strengthen the market of decorative car accessories in this region. Additionally, India, China and Japan are some of the major vehicle producer countries and are expected to contribute significantly in the growth of Asia Pacific decorative car accessories market during the in Asia Pacific region. Rising despoiled income of the consumers and rapid urbanization in Asian countries are anticipated to bolster the growth of market in this region. Further, offline store segment by application grabbed major shares of market in previous year and is expected to continue positive growth over the forecast period. However, availability of these decorative car accessories through online stores and increasing consumer’s preference for online shopping are expected to escalate the growth of online store segment at maximum pace over the forecast period. The increasing sales of vehicles are the major factor which is responsible for the growth of decorative car accessories market. In addition to this, the global automotive industry is driven by a number of factors such as rinsing consumer’s affordability, growing income of consumers and availability of easy financing options to buy a vehicle. Further, this growth in automotive industry is fuelling the growth of decorative car accessories market. Growing trend for vehicle customization all across the regions is a key factor which has escalated the demand for decorative car accessories globally. Consumers are installing numerous accessories to give their vehicles more tempting look and to improve driving comfort level of their cars. Additionally, changing lifestyle of consumers and rising preference for cars over motor bikes is a key factor which is expected to drive the growth of market in upcoming years. Further, availability of wide range of accessories that can offer diverse range of customization in terms of design & material is driving the growth of global decorative car accessories market at notable growth rate globally. For instance, total global production of cars in 2016 reached 72,105,435 as compared to 68,539,516 in 2015. Automakers such as Jaguar Land Rovers and BMW are executing aggressive expansion plan to boost the production and sales of the company across the globe. This factor is projected to bolster the growth of decorative car accessories market in future. Growing aftermarket sales of decorative car accessories is also strengthening the growth of market across all regions. However, the high cost of the car accessories from popular manufacturer is expected hamper the growth of decorative car accessories market in upcoming years.